This song by Tom Rush was passed along by my friend Loryn. It tells the story of one aspect of my life all too well! That’s the cry of the Cub’s announcers after every win. They have been able to do that 84 times so far this season. Within a short time after #84, the Brewers failed to get #82 and my Cubbies are in the playoffs. Historically, this is a very low number for a playoff bound team. Yes the hated St. Louis Cardinals took the World series last year after winning only 83 games during the regular season but that is the exception. We are not exactly rolling into the playoffs on a hot streak like most of the teams that seem like they will make it this year. But for one moment I am going to be a fan instead of the realist I usually am. 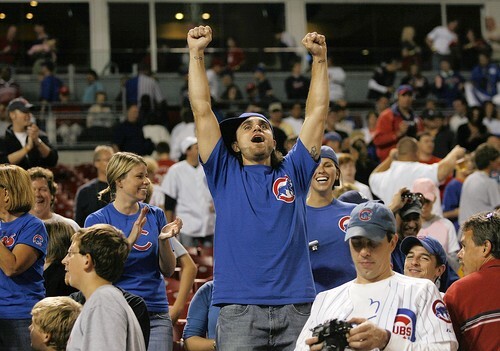 My Cubs will join the 2004 Red Sox and the 2005 White Sox as a team to win their first World Series in a 100 years. As my 16 year old son has told me all season, “ya gotta believe, Dad.” For now, I believe! In many ways Bill Wirtz was a big man. Physically he was tall, thick, and muscular. Even his ear lobes were thick– I don’t know why but that is something I always noticed. However, Bill filled a room with his stature and force of personality more than his physical presence. Like many titans of industry he got his start in family businesses but Bill was no rich kid slacker. He grew the businesses he took over. He was a traditional business man from an age that barely exists anymore. He was honorable, commanding and strong willed. He knew what he wanted and would push his point but he would listen if you made sense and had the fortitude to push back. Once you had his trust he was extremely loyal but could be unforgiving to those without integrity. He could get angry but more often he was generous. I have witnessed him share his disappointment with the performance of an executive working in one of his businesses and then turn around and give that person another chance–and a raise. Bill told great stories. Due in large part to his interesting life and experiences. The Wirtz’s were into many businesses including sports, (best known for owning the Blackhawks and the old Chicago Stadium and part ownership of the United Center), liquor distribution, banking, real estate, insurance and more. These enterprises brought him in contact with well known people in entertainment, sports, business, law and government. Bill had a fantastic memory and an entertaining style of story telling. Though he knew many famous and important people he also seemed to know most all of his employees at every level. He was proud of the people who started at an entry level job in one of his businesses, often with no college degree who through hard work, brains and savvy would rise to middle or even senior management levels. These people he had great respect for. The Wirtz businesses provided opportunities to people you cannot find in big impersonal corporations. It was all personal to Bill. I had the honor of working with Bill as a relatively young professional consulting to a public company’s board committee of which he was chair. At first I was in awe of this man so well known in Chicago but Bill quickly put me at ease and treated me with respect. Not all people with his credentials, and many with less, will not treat you with respect. Bill did. He later used me to advise him on some of his businesses. Through these activities I met his sons Peter and Rocky. Chicagoans that did not know him often complained about how he ran the Blackhawks, the most public of his ventures. He was mistakenly called cheap and was blamed for several stars leaving for bigger paychecks elsewhere. If you had the chance to talk with Bill you would know two things about his Hawks. First, he loved the team and wanted a successful franchise more than any fan on the street. Second, Bill was a business man first and a sports fan second. He understood that money had to be made in order for the team and the sport to endure. Bill did a lot for professional hockey. This Chicago Tribune article describes this aspect of Bill better than I can. I will miss working lunches in the Sonia Henning room of the United Center and listening to Bill tell stories. I will miss Bill Wirtz. Baptistina. Actually, a portion of this asteroid striking the Earth is what is currently believed to have led to the end of dinosaurs. 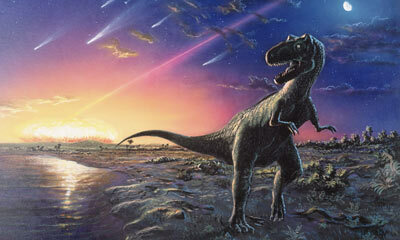 As reported in the Economist, the collision 160m years ago of two space rocks, albeit quite large ones, resulted in the stormy death almost 100m years later of the dinosaurs and many other species on Earth. The link to the story provides an interesting and quick read on this phenomenon. Mostly though I wanted an excuse to post the picture. Quite cool. An article that appeared in the Chicago Tribune last week. DES MOINES, Iowa – A man was arrested after he hit his wife in the back of the head with an onion. James Izzolena, 54, of Des Moines, had been drinking, became upset with his wife, Nicole Izzolena, 27, and threw an onion at her during an argument on Wednesday, police said. Police said James Izzolena admitted throwing the onion at his wife but said he didn’t mean to hit her. His wife told police it made her head hurt. Wife. Marrying a man twice your age and not expecting an onion to be tossed your way or worse. Husband. For ruining a perfectly good vegetable. Associated Press. For writing and distributing this story. Just because you can does not mean you should. Chicago Tribune. For wasting valuable newsprint on something so inane. For Jews around the world last night at sundown Yom Kippur, the Day of Atonement, began. This means many things. Most importantly it is the last day of the 10 day period beginning with Rosh Hashanah during which you ask forgiveness from your sins of the past year and hope to be written into the Book of Life for another year. You are asking forgiveness from G-d for the sins against the 613 commandments but also from every individual whom you have harmed. Sins of omission as well as commission. It is an introspective and solemn day. To help create the mood, one of the commandments is a sundown to sundown fast. I have found that the term fast means different things in different religions so I want to clarify the Yom Kippur fast. NOTHING. No food, no liquids, nada for what ends up being 25-26 hours. While you would not think so to look at me, I can go without food for a day if necessary. It is the water or other liquids that I miss the most. I have been at this for 21 hours so far. I will survive as I have every year but my mouth is dry and in an hour or so my stomach will be rumbling. So while other religions have their food sacrifices such as Lent or Ramadan that last longer than a day. I will put Yom Kippur up against any of those for the pure intensity of 24 hours of nothingness. It’s Hot! It’s Not? It’s a Burqini! I get excited by something that allows a person to both respect their religion and better participate in the modern world. A burqini allows Muslim women to stay covered but be in the water at the beach or with their children at a pool. A burqini is a lightweight, non-clingy, water-shedding tunic with attached hood in a high-tech polyester sports fabric. It covers the body. This creation came from the mind of a 38 year old Lebanese Muslim woman named Aheda Zanetti after watching her niece struggle to play volleyball in a traditional burqa. The burqini has won the Australian Islamic Council’s approval and is being bought by women across the world. This is no typical Sports Illustrated swimsuit –though maybe in the Saudi and Dubai editions it will be one day. But who cares if the typical western male would rather see more skin. This creation gives millions of devout Muslim women freedom and comfort that they did not have before. What could be better on a planet that could use more ways for the devout of all religions to be modern, moderate citizens of the world? I am nominating the burqini for the Nobel Peace prize.